Review: 2013-03-09, speed, power, technique, one knockdown…is it not enough?…It is also a candidate for Knockout of the the Year 2013: the second fight between Salgado and Mendez gets four stars! Juan Carlos Salgado (26-1-1) entered as the No.3 super featherweight in the world while Argenis Mendez (20-2-0) entered as the No.5. 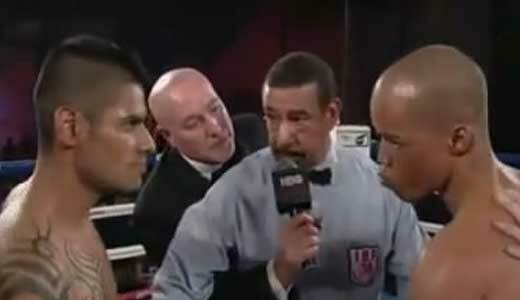 In their first fight Salgado defeated Mendez by unanimous decision (September 10, 2011); this second bout is valid for the IBF super featherweight title (Salgado’s fourth defense). Watch the video!